Join us in the beautiful gardens at Sacred India every Saturday evening at 6.30pm for an evening of meditation, mantra music and delicious soul food! All welcome & free to attend! Madhava returns to WA sharing more of his inspirational kirtan mantra music. Immerse yourself in the sacred sound of kirtan. 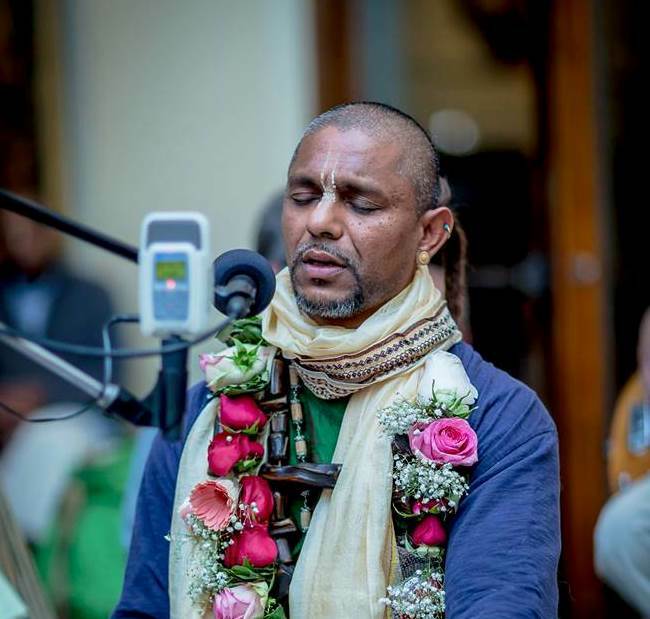 Originally from Mauritius, Madhava was trained in kirtan in the rustic North Indian temple town known as Vrindavan. He now travels the globe sharing the kirtan experience. There are two booking options available. You can purchase tickets at our secure Eventbrite booking link, or alternatively you can register for door sales and pay on the night. Register for Door Sales Here! Radhika dasi is an accomplished vegetarian chef with many years of experience all over the globe. She returns to Perth this March demonstrating her amazing repertoire of vegetarian baking cuisine. Wholesome and Healthy with Radhika is being held in the beautiful home of Punya and Rupavati, two of our volunteers from The Sacred India Gallery who live in Wattle Grove. Here you will find the perfect kitchen for a lively and entertaining demo with Radhika! The presentation will be suitable for all levels of experience, including beginners. This event is limited to 10 participants, so don't be disappointed- grab your ticket now! The Bhagavad Gita is an ancient text which captures the essence of India's timeless spiritual wisdom. Bhurijana Das is an author and a teacher who has dedicated the past 50 years of his life to sharing the spiritual knowledge of India through his classes, seminars, retreats and published works. Special Event- First Time in WA! Join Madhava and friends in tranquil settings at The Sacred India Gallery for a unique day retreat experience! There are two booking options available. You can purchase tickets at our secure Eventbrite booking link, or alternatively you can register to attend and pay on the day. Register & Pay on the Day Here! She returns to Perth this March demonstrating her amazing repertoire of vegetarian cuisine. Wholesome and Healthy with Radhika is being held in the beautiful home of Punya and Rupavati, two of our gallery volunteers who live in Wattle Grove. Here you will find the perfect kitchen for a lively and entertaining demo with Radhika! The demonstration will commence at 10am and finish at 2pm. The cost to participate is $80 per person, which includes a delicious meal at the conclusion. To ensure all attending can take in every step, we are capping registrations at 10 participants. So don't miss out! Just 10 spots going for this one! September School Holidays - Kids Art Workshops! Both Workshops for Sept 2017 Sold Out!! More Workshops with Kalindi coming in 2018!! Kalindi (Christine Filion), is a teacher, artist and puppeteer who speaks three languages. Her mission is to make art and language learning fun and to creatively stimulate young minds. Canadian born, she presently resides in the countryside just north of Rome, Central Italy. Living amidst olive groves and medieval villages, she keeps herself busy teaching English through a highly interactive methodology and heads up various children’s programs. Her global experience also includes ten years living and traveling in India. This is her first time visiting Australia and she’s really excited about collaborating with her friends here at The Sacred India Gallery! For more about her work check out Teatrando in Inglese on Facebook. 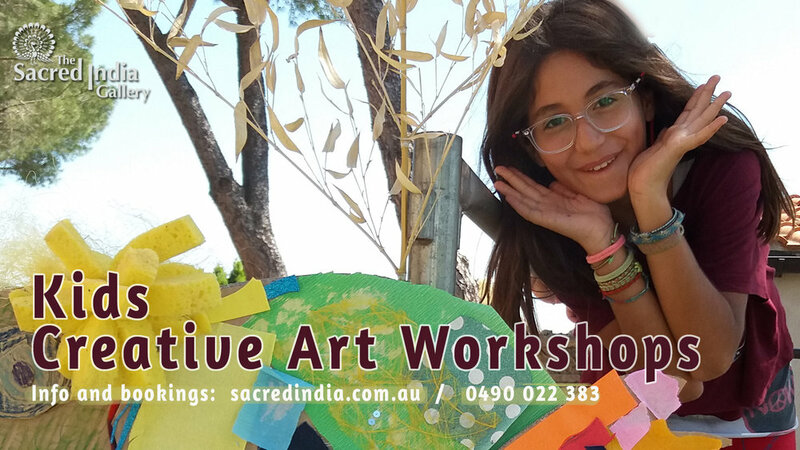 Our workshops will take place in a series of "creative space marquees" under the tall gumtrees in the scenic grounds of The Sacred India Gallery. The workshops will go ahead rain or shine. For further information, contact Shree or Kalindi on 0490 022 383. Join us for an evening with Travel Photographer Jay Weinstein as he shares fascinating images and stories from his recent adventures in India. So don't miss this one, Jay will personally take us through some captivating shots and share a few stories along the way. The evening will also include kirtan mantra music, a guided meditation and a delicious vegetarian supper. Here's a Sacred India event not to be missed! Entering the World of Conscious Choice with special guest Bhurijana Das. Bhurijana has a deep affinity for spiritual India. He lived for many years in the sacred land of Vrindavan, studying ancient texts and regularly traversing all over the region. He has been practicing bhakti yoga for over 40 years and is the author of numerous books on topics related to the bhakti tradition. This event is shaping up as something special- join us for kirtan mantra music to sooth the soul, insightful reflections with Bhurijana on the the topic of consciousness and conscious choice, and a delicious vegetarian supper! Secure your place now. There are two pre-booking options. You can purchase a ticket online or you can register for door sales. REGISTRATION FOR DOOR SALES HERE! Madhava returns to Perth this March for more inspirational evenings of kirtan mantra music. Originally from Mauritius, Madhava was trained in kirtan in the North Indian Temple town known as Vrindavan. He now travels the globe sharing the kirtan experience. Here's your chance to get in early ! The booking links in this post will take you to our Eventbrite booking platform, which is a secure site where you can purchase tickets for all venues. There is also an alternative link where you can register to pay at the door. For more info, contact Shree on 0490 022 383. 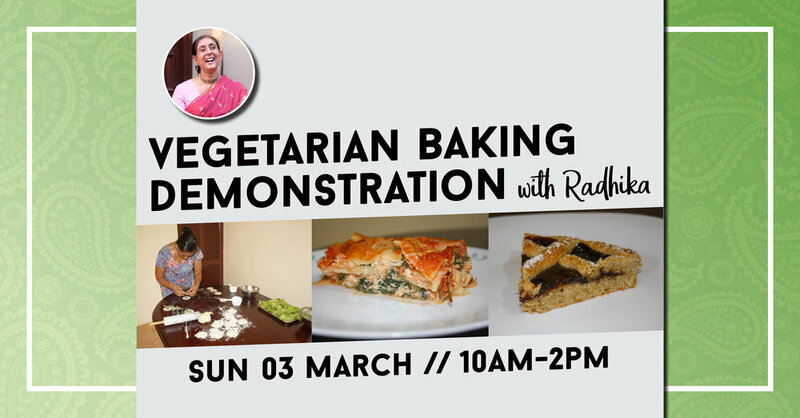 On Sunday March 26 The Sacred India Gallery is organising a vegetarian cooking event with special guest Radhika Dasi. Radhika is an accomplished vegetarian chef with many years of experience all over the globe. The demonstration will commence at 10am and finish at 2pm. The cost to participate is $70 per person, which includes a delicious meal at the conclusion. The presentation will be suitable for all levels of experience, including beginners. To ensure all attending can take in every step, we are capping registrations at 10 participants. Below you will find a link where you can register to attend. Payments will be accepted on the day either by cash or EFTPOS card transaction. A Night in Sacred India comes to Mt Lawley! Join us at Yoga Om in Mt Lawley for a special event capturing the mood and atmosphere of spiritual India. The night will feature kirtan, traditional dance, and Gita Wisdom. Our guest speaker for the night is Jagattarini Dasi, Artistic Director at The Sacred India Gallery. The evening will also feature a traditional Bharatnatyam dance performance by Hareny Puganeswaran (pictured above), from Narthanalaya School of Indian Classical Dance. All are welcome, entry is $ 12 (Online bookings - $ 13.53), which includes a vegetarian supper. Places are limited. Don't miss out! You can book for the event here. For more info, contact Shree 0490 022 383. If you missed our recent evening in Cottesloe with Jay Weinstein, or if you attended and would like to recommend the event to your friends... good news! By popular demand, we've scheduled two additional evenings with Jay in September. Jay will present some amazing images from his recent travels in India, and share a few stories from the journey. These are both yoga studio venues, numbers are limited, so get in fast! You can register to attend either of these free evenings here. Jay's recent photographic project in India is entitled So I Asked Them To Smile. You can find out more about the project here. A Night in Sacred India Comes to Cottesloe! 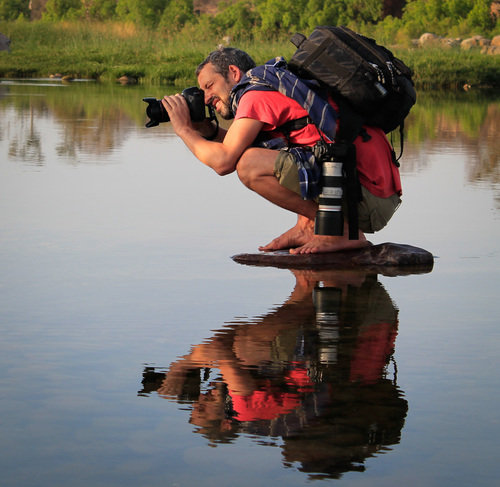 Join us at the Cottesloe Civic Centre for an evening with Travel Photographer Jay Weinstein. The evening will also feature a healing meditation conducted by Bhurijana Dasa, kirtan mantra music, and a free vegetarian meal. It's entirely free to attend, but seats are limited, so please register in advance. Join us on Saturday July 9 for a unique special guest event at the gallery. Travel photographer Jay Weinstein will be sharing some amazing images from his most recent adventures in India. Jay's connection with India goes way back. When he was just three years old, his family took up residence in the North Indian pilgrimage town of Vrindavan. The evening will also feature a guided meditation. Bhurijana dasa, an accomplished public speaker and author, will conduct a session suitable for all levels of meditation experience, including newcomers. This event promises to be a mid-year highlight on our calendar. The is an entirely free event, and you're welcome to bring a few friends. We are planning a delicious supper menu, so to help us plan our catering, please confirm your attendance. Contact Shree 0490 022 383. Join us in March for some exciting kirtan events with special guests Bhanu Swami and Madhava. Three Evenings exploring the ancient tradition of kirtan. Inspirational kirtan with Madhava! Gold Coin Donation! All Welcome! The Sacred India Gallery hosted special guests from Mumbai in July. 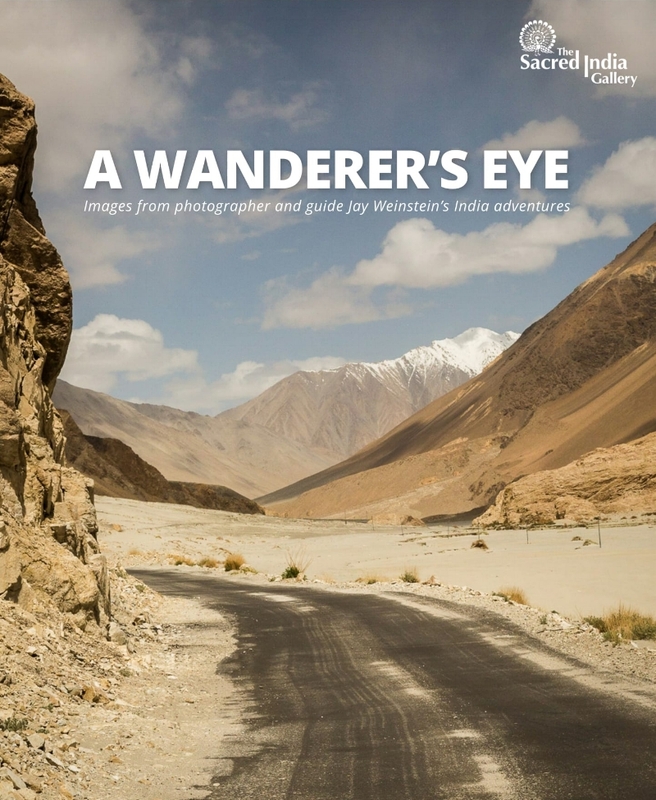 Jay Weinstein has a background in media and production, and he is a photographer who regularly traverses the land of India on field projects. His partner, Kadambari Ravi, is a Yoga and Meditation Coach from The Yoga House in Mumbai. During their two week stay in Perth, Kadambari and Jay participated in events at various venues focusing on meditation, mantra music, and the sights and sounds of spiritual India. We are very grateful to everyone who turned up and helped make these events a big success, and a special mention must go to the following people who went out of their way to help make it all possible: Veronica (The Lotus Room Yoga Studio), Chinmaya (Beacon Yoga Centre), and Val (Sabare Health). International kirtan artist Madhava joined us Feb 27-Mar 2 for a long weekend of fantastic events. We started with a mystical twilight experience in the Sunken Garden at UWA. Then for the Saturday evening we were hosted at the Fremantle Yoga Centre for a wonderful night of kirtan. Madhava brought the crowd to life at the Japanese Garden Theatre on Sunday, and we finished the long weekend with a heart-touching evening at Kalamunda Hare Krishna Temple. A big thanks to everyone who came along and helped make the events such a huge success. Madhava has been touring Australia regularly for the past 5 years, but he said the events in Perth this year were the best kirtan programs he's experienced anywhere in Australia. He's looking forward to returning again in 2016. Watch this space for info on other kirtan events coming up later in the year!